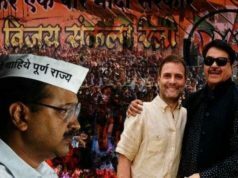 Mumbai: While Narendra Modi is the face of BJP, Amit Shah is its limbs…..Modi is able to become a wave only because it is Amit Shah who steers his ship. 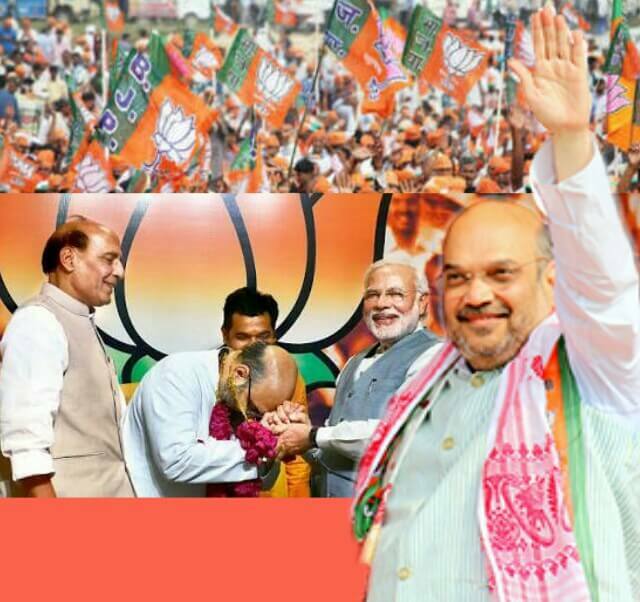 Indeed in three years, the political astuteness of Amit Shah has taken the BJP to a new height. It’s rise has been phenomenal to say the least. The party has everything going for it – Its party membership stands at 100 million i.e. 10 crore making it the largest party in the world. It has a majority in the Lok Sabha, the party is in power in a record number of 18 states, the President and the Vice President are BJP nominees and the Speaker too is a party member. In the Rajya Sabha too, the party is inching towards becoming the largest party. 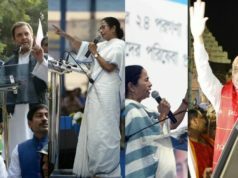 The party has been making electoral in-roads even in Bengal, Kerala, and the North-East. In the UP elections this year the party put up a stellar performance, beating all expectations and routing the Congress-Akhilesh combine winning 73 of the 80 seats. While in Bihar, the party’s clever chessboard like moves toppled it’s critic Lalu Prasad Yadav to support the Nitish Kumar Govt. and indirectly took control of its reins. 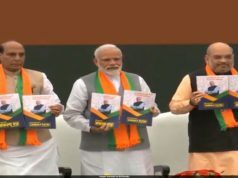 All this has been possible mainly because of the untiring efforts of Amit Shah who is known to be a master election strategist and able administrator earning him the very apt title of ‘Chanakya’. Success has not come easy but is the result of his hard work and his effort to reach out to both people and party workers at the grass roots level. As per news reports, in 3 years as BJP president, has travelled 560,000km across the country, undertaken 303 outstation tours, and visited 315 of India’s 680 districts. Shah started out early and in 2003 was the youngest minister in the Modi govt. in Gujarat. He was elected as an MLA from Sarkhej in four consecutive elections: 1997 (by-election), 1998, 2002 and 2007 while in 2012 he was elected from Naranpura. He is also a Rajya Sabha member. Amit Shah’s fortunes turned around sharply after 2001. 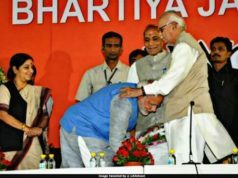 This was when the BJP replaced Narendra Modi with the veteran leader Keshubbhai Patel as the Chief Minister of Gujarat. Modi and Amit Shah were known to each other since their youth as members of the RSS. Amit Shah then rose to be the party general secretary in 2013 and made party president after the 2014 general elections. There’s another side to Amit Shah that is shrouded in controversy. However because of his immense clout he has managed to come out unscathed from many serious allegations. He was arrested on July 25, 2010 charged with the murder in the Sohrabuddin Sheikh fake encounter case with the CBI submitting proof of his indirect involvement. In fact the CBI was afraid that he would use his political power to influence justice from taking its course. 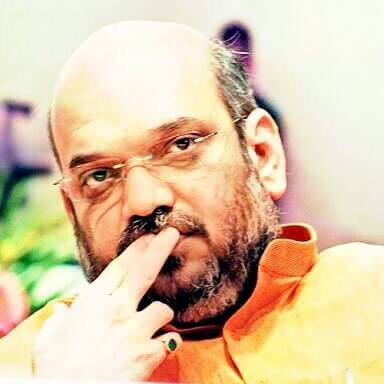 Shah was thus forcibly exiled by the Courts from Gujarat from 2010 to 2012. Thus despite being a strong contender for the Chief Ministers post, he couldn’t become one and Anandiben Patel was made the Chief Minister. However on an appeal, the Supreme Court granted him bail in 2012 and allowed him to return to Gujarat. He then contested and won the 2012 Assembly election from Naranpura constituency. Amit Shah was also accused in the Ishrat Jahan encounter case too but later given a clean chit by the CBI. Another scandal called ‘Snoopgate’ saw him having ordered illegal surveillance of a woman but he was acquitted of those charges too and surprisingly the very same woman instead later on ‘thanked’ the Gujarat Govt. for ensuring her safety. But Amit Shah has buried the past behind him and so have the people. He is now readying for the coming assembly poll in Gujarat this November and after that he has his sights set on 2019 general elections…..Will he emerge stronger than his mentor Narendra Modi……??? Knowing Amit Shah may not come as a surprise. 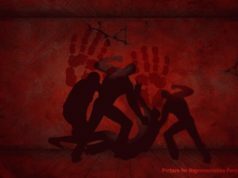 Next articleShould a Democratic Government even think of such Draconian Law?